An old favorite, the Campbell Family's Secret Jalapeño Recipe, has been handed down for generations. Over the years, the Candied Peppers have become a family tradition. Try one and you'll be surprised! We guarantee you'll go crazy for that sweet flavor mixed with just the right kick! They're great on Hot Dogs, Brats and Pizza. Put them in Baked Beans, Cornbread, Nachos and even Deviled Eggs. Our #1 Favorite Treat is corn scoops, whipped cream cheese and a candied jalapeño on top. 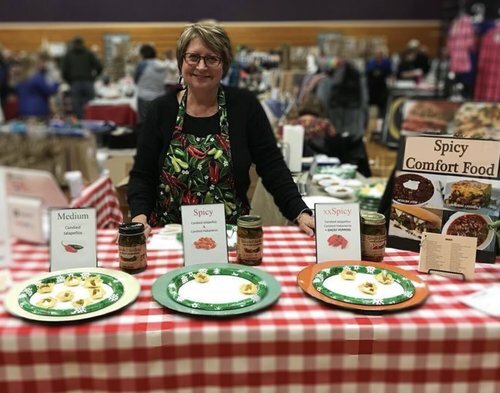 Be sure to check out our Blog for the latest news, more recipes and read our Reviews for the reactions of our Pepper Fans! Our Heritage will show you our peppers progress from seed to jar to your table! What sets us apart from all others: we only use FRESH jalapeños, no preservatives, all natural and you can pronounce all the ingredients! 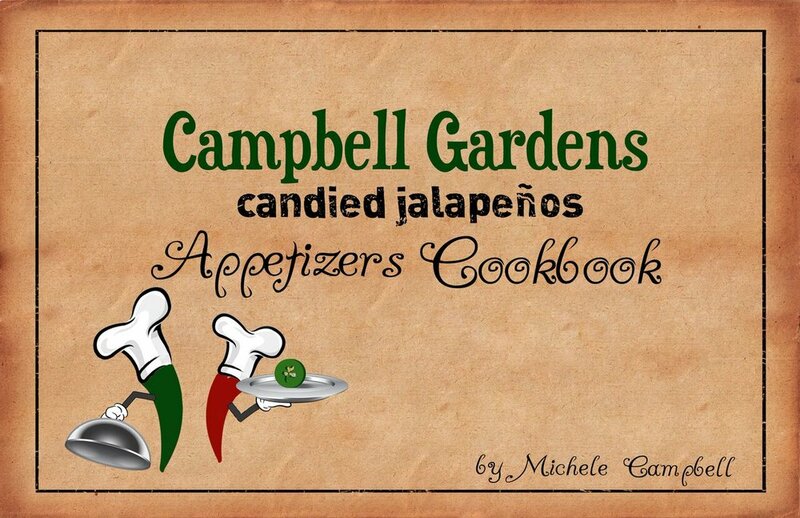 Check out our Campbell Gardens Cookbooks for amazing jalapeño recipes full of fun-filled flavor! Check out some delicious free recipes using our peppers! Our most popular #1 Favorite Treat recipe will keep them coming back for more! 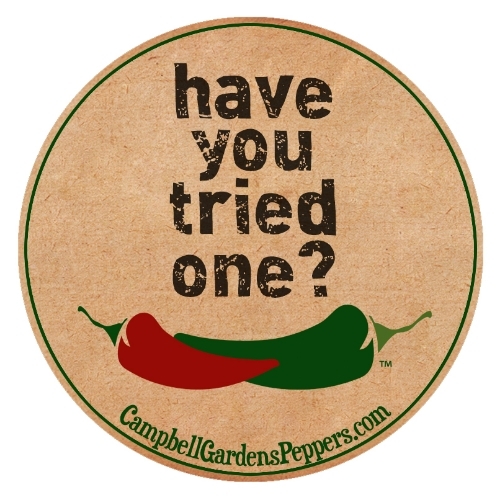 Visit us as Campbell Gardens on Pinterest, Twitter, Instagram and on facebook as Campbell Gardens Candied Jalapenos. Try just one and you will agree that the flavor is fantastic and unmatched by any other candied jalapeños/cowboy candy out there! Don't take our word, read our reviews and see what others have to say!